Earlier this week, the original lineup of Hot Snakes reunited for the encore set of The Night Marchers and Obits show at The Casbah in San Diego, CA; the two bands feature former members of the group, with guitarist Rick Froberg part of Obits and vocalist/guitarist John Reis, bassist Gar Wood and drummer Jason Kourkounis currently performing in The Night Marchers. 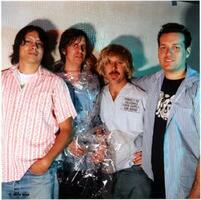 Hot Snakes called it a day in 2005 after six years and three studio albums. Their final release was the Peel Sessions EP. Venerable Chicago venue Fireside Bowl recently reopened its doors to bands after a six year absence from hosting shows and dramatic renovations between then and now. After roughly a decade of carving out a niche as an important aspect of the DIY scene in Chicago, Fireside closed its doors to shows in 2004 to renovate its dilapidated bowling lanes and refocus its business plan. 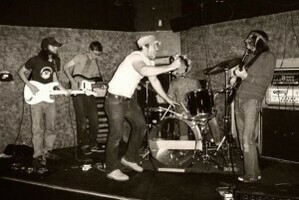 However, in June owner Jim Lapinski agreed to a trial run of summer shows at the revamped space. Chicago News Cooperative has a detailed story on the reopening here, and you can click Read More to check out its accompanying video. Rorschach Records has made Field Day‘s demo available for free download. The band, who are scheduled to play their last show at Best Friends Day in Richmond, VA, notably released the Christian Television in 2009 via Rorschach. It’s Alive Records has posted a label sampler entitled Show ’em the Hand Vol. I for free download. It includes tracks from The Copyrights, House Boat, The Dopamines, For Science, The Methadones and several others. Our stream today comes from Ipswich, Suffolk-based The Adicts. We’ve got a stream of the band’s new full length, Life Goes On. The long-running punk band has maintained it’s original lineup since 1975 and will be touring on dates here. Street Sweeper Social Club, the new project from Tom Morello of Rage Against The Machine and Boots Riley of The Coup, have posted their cover of the LL Cool J classic, “Mama Said Knock You Out” The song comes from the duo’s upcoming EP, Ghetto Blaster, due out August 10, 2010. On September 25, Ruiner will be playing one of their final shows at the Party Xpo in Brooklyn, NY to raise money for the Jake Stults Foundation. Also scheduled to appear are Another Breath, Mayflower, Achilles and Such Gold. Jake Stults played guitar for a number of NYC-area bands including De La Hoya, Dreams Forever Drowning, Rebel Alliance and In First Person before passing away in May at age 31 due to severe brain trauma sustained in a skateboarding accident. The benefit was set up to help his wife and family pay for the extensive medical bills and expenses as a result of his hospital stay prior to his death. A raffle will also take place at the show to raise funds, which will include Polar Bear Club test presses and a Hex Records prize pack, among other things. More information is available here. Week 15: Split Vote! If you only had one thing? TANK! We split in this weeks vote. PC users went with Survival Versus and Xbox 360 users went with Four Swordsmen of the Apocalypse. Can you survive against your friends? The first Survivor team sets the time. The second team tries to beat it. Then the first team tries to beat the second team’s time. Then the second team tries to beat the first team’s time. And then the… you get the idea. Rounds keep switching until someone fails to beat the previous time. We have added a start time limit. How did the voting break down? Similar numbers for the bottom two and a flip for the top two. Can anyone hazard a guess why we are seeing the split? If you only had one thing? Ignore the game for a minute. This is real world zombie apocalypse. You fought your way to a boat and boarded. You are unbitten. You are heading towards an Island in the Keys you hope is deserted but you have no idea. If you only had one thing you could wish to be on the boat with you heading towards that Island – what would it be? Next Weeks Mutation: Gib Fest! The Tank statue over at the IP Factory is available for pre-order now! This is a very limited run so hurry up and click here. 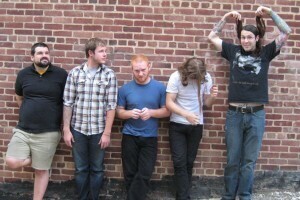 Friction Recrds is sharing an MP3 from the upcoming Bars of Gold debut, Of Gold, due out August 24, 2010. You can download “The Hustle” right here. The band, which notably features former Bear Vs Shark frontman Marc Paffi, has also booked a record release show at Founders in Grand Rapids, MI on September 11. At a show in Poughkeepsie NY, Social Distortion‘s Mike Ness revealed a title and projected release date for their upcoming Epitaph Records debut. First, Ness revealed the title as Hard Times and Nursery Rhymes and also promised a November release date. Stick around the video for a performance of the crowd favourite “Story of My Life.” The song comes from their 1990 album, Social Distortion. You can check out any of our 9497 reviews right here.